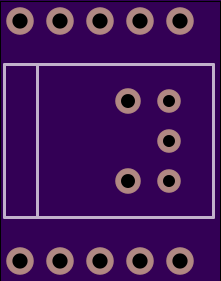 2 layer board of 0.55 x 0.70 inches (14.0 x 17.9 mm). Uploaded: May 21st, 2015 11:06. 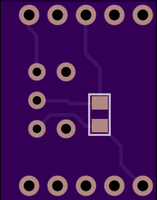 S/PDIF optical output for Teensy 3.1. The Teensy Audio library now officially supports S/PDIF output. WAV File Player Example (in Arduino: File > Examples > Audio > WavFilePlayer) has been updated to show how to use it. The S/PDIF output object is now available in the Audio System Design Tool, so you can easily create arbitrarily complex audio projects with digital S/PDIF output. Special thanks to Frank Boesing for developing the S/PDIF encoding code! The S/PDIF signal is output on pin 22. An inexpensive connector (Digikey 1080-1434-ND), or simply a red LED, can be used to couple the digital audio to an optical TOSLINK cable! Resistors and a small transformer can also be used, for non-optical RCA connector S/PDIF.